Chetan Salunkhe lifted the trophy and also won the prize money of Rs 25 lakh. One of the popular dance reality shows of the small screen, Dance Plus 4 finally came to an end with Chetan Salunkhe lifting the trophy. He also won the prize money of Rs 25 lakh. Anchal and Sujan became the first runner up and Vertika Jha took the third spot. The grand finale of the show witnessed spectacular performances from celebs like Mouni Roy and Nora Fatehi. 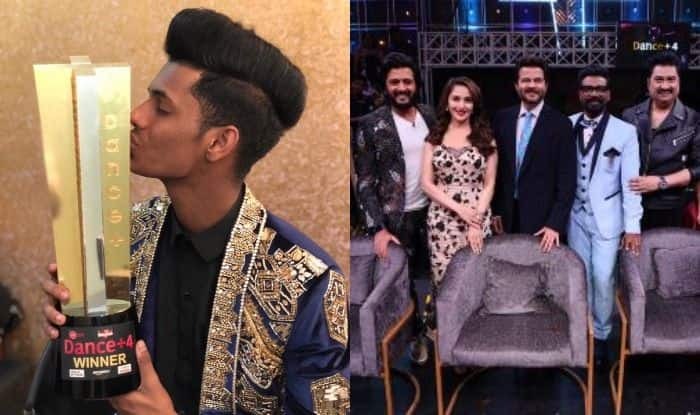 Anil Kapoor, Madhuri Dixit, and Riteish Deshmukh also graced the show to promote their upcoming film Total Dhamaal. Dance Plus 4 was hosted by Raghav Juyal and Sugandha Mishra. It was judged by choreographer Remo D’souza. Dharmesh Yelande, Shakti Mohan and Punit Pathak were captains of the teams. Everybody enjoyed the night and also danced their hearts out. After the winner’s announcement was made, Chetan’s parents got emotional as they ran and hugged him. They said that it was a dream come true moment for the 19-year-old. Another reality show, The Voice, which has AR Rahman, Armaan Malik, Harshdeep Kaur, Adnan Sami and Kanika Kapoor as judges is set to take the spot of Dance Plus 4.